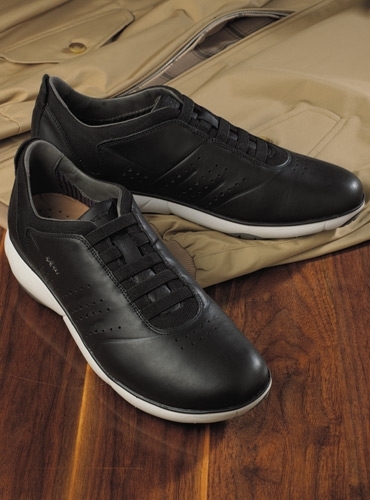 Flexible performance shoe from European favorite Geox, with its patented Breathing System, that combines perforations in the sole and a membrane airflow lining to support temperature regulation and assure moisture wicking comfort. 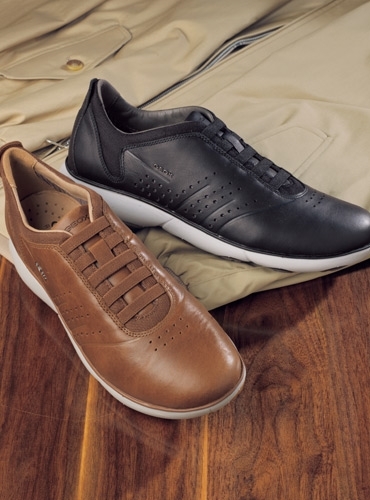 Slip-on comfort and a tailored appearance make these shoes versatile for travel as well. 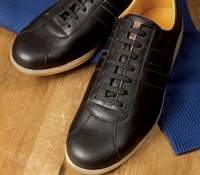 Leather and mesh uppers and rubber outer soles. 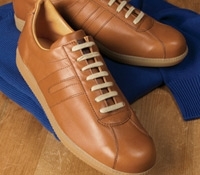 Offered in European sizes 41–46 (US 8–13), whole sizes only. 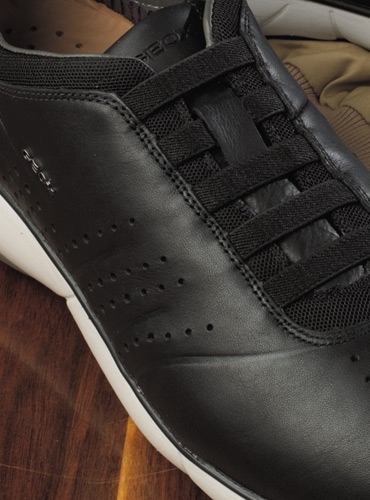 Featured in black, but also available in cognac leather (GNS3-A).